Ambassador Katrina Williams, the Deputy Permanent Representative to the EU, heard how adopting an innovative new recycling model in Northern Ireland could boost the economy and create local jobs during her recent visit to Bryson Recycling’s state of the art recycling plant in Mallusk. The visit provided an opportunity for the Ambassador to see an innovative new recycling container called the “Wheelie Box” that Bryson designed in partnership with Straight plc, which is currently being used in over 16,000 homes in Northern Ireland, and is being rolled out to a further 10,000 homes in the Antrim and Newtownabbey Borough Council area in the coming months. 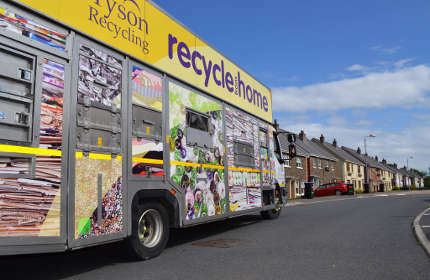 The Mallusk based firm, part of the Bryson Charitable Group, Northern Ireland’s leading social enterprise, currently collect and sort over 60% of the materials collected from homes across the province. 35% of these materials are reprocessed by local companies to make new products, including egg boxes, glass bottles and pipes. Ambassador Katrina Williams said, “I am delighted to have the opportunity to visit Bryson and I am very interested in their approach to recycling. 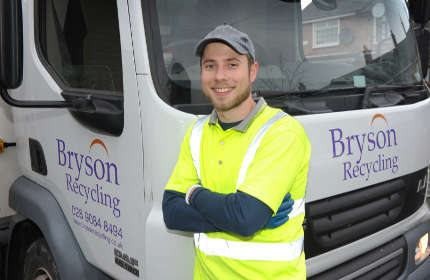 In my role as the Deputy Permanent Representative to the EU I am negotiating with Brussels on policy around the circular economy and waste policy and Bryson’s approach is an excellent example of how recycling can have a positive impact on the local environment and economy”. 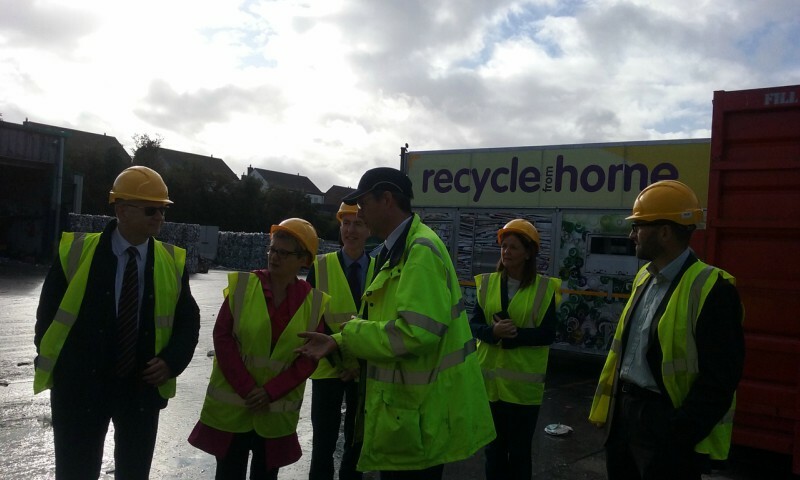 Eric Randall, Director at Bryson Recycling said, “It is great to have the Ambassador visit Bryson Recycling as we are always keen to showcase the work that we do. 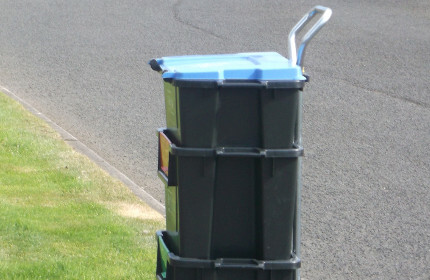 Our approach to recycling focuses on collecting high quality materials using the Wheelie Box that can be recycled locally. If councils were to adopt household recycling services that generate high quality materials it could benefit the Northern Irish economy by £150 million per year. We are delighted to be at the forefront of this innovation and urge councils across Northern Ireland to support our circular economy approach to recycling”.